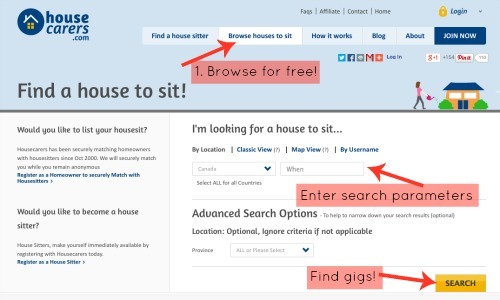 You are here: Home / Accommodation / Where’s the Best Place to Find House-Sitting Jobs? Where’s the Best Place to Find House-Sitting Jobs? You may hate the answer, but here it is: it depends. The good news? 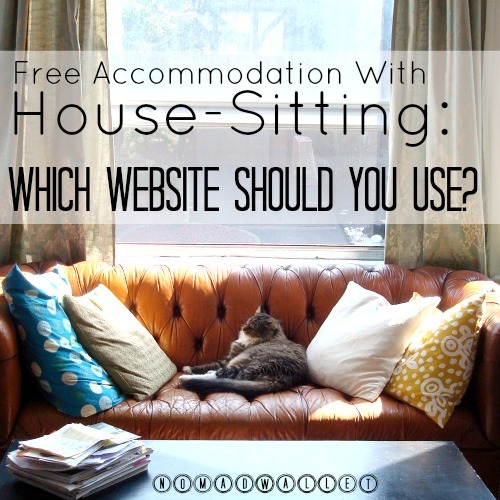 There are only a few big house-sitting websites, so it won’t take long to check them out one by one. By doing it this way, you’ll only pay when you know there are great opportunities available. With all these websites, you can browse the house-sitting jobs for free, but you’ll have to pay before you can contact the homeowners. 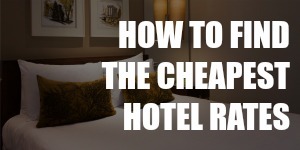 The membership fee is relatively low compared to the potential savings — one year’s membership is a fraction of the nightly rate you’d get at a hotel. Got all three websites open in your browser? Good, here’s what you do next. You only have to pay when you want to send messages to the homeowners, so make full use of the free browsing feature before you purchase a membership. You can search by date, location and length of stay. The more flexible you are, the more options you have and the higher your chances of landing a house-sitting gig. The search interface at House Carers. Every homeowner is different in how much detail they include in the listing. Some listings are really brief, but try your best to gauge how suitable each house is for you. Does the house have all the amenities you need? Is it equipped with laundry facilities? Will you have Wi-Fi and cable? What about a coffee maker and other small appliances? Is it in a city or a rural area? How close is the house to stores, restaurants and public transport? Will you get to use the homeowner’s car? This can dramatically cut your transport expenses, but also consider the cost of insurance and gas. What kind of climate is it? Being flexible is great, but don’t change your itinerary to take on a house-sitting gig in the dead of winter if you hate cold weather. What kind of maintenance work does the house need? Are you expected to shovel snow, clean gutters or change furnace filters? How much attention do the animals need? Many house-sitting listings require that you also take care of pets. Some in rural areas even ask that you take on farm duties. Consider how much time and effort you can dedicate to the animals. Will you be out most of the time or will you be home to accompany the animals? How much experience do you have in pet grooming, administering meds, etc.? Will you only have to water potted indoor plants weekly or maintain an entire outdoor garden? You probably won’t get all this information from the listing alone, but keep these things in mind when you contact the homeowner. At this point, you should have a short list of a few house-sitting jobs that you like.Go with a website that has the highest number of promising leads. For me, House Carers had two listings I really liked, while Trusted Housesitters only had one that I was only mildly interested in, so it was an easy decision. After joining House Carers, I gained instant access to a control panel, where I personalized my profile and sent messages to the two homeowners. One homeowner came back saying that he had accepted another person but would be happy to have me the next year. The other one was a match. Overall, I’m happy with my House Carers experience. It does a good job of connecting house-sitters and homeowners. Based on what other travelers say, Trusted Housesitters and Mind My House also provide similar levels of service quality. Want to learn more about free accommodation? For a comprehensive guide to house-sitting, check out the e-book How to Become a House-Sitter and See the World by Peter and Dalene Heck of Hecktic Travel. Not only does it have lots of tips and resources, but you’ll also get a discount code to their favorite house-sitting website. House-sitting isn’t the only way to do it. 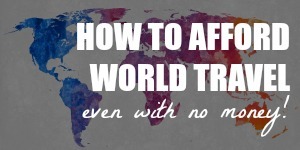 If you want to find out more about the different types of free accommodation, check out this e-book: Free Accommodation Around the World. Written by Nora Dunn, who has traveled full time for 8 years, the book has a lot of useful, practical information. Image: Jocelyn Durston (CC BY 2.0 License). Have you ever managed to get any places from those websites? To us they look like Ashley Madison -style scams with staff made adds to lure people to pay for the access. http://www.volunteersbase.com has free listing. These are all legit sites and, yes, I have found house-sitting gigs through HouseCarers. I didn’t sign up with the other sites I mentioned here, but I’ve done enough research to know that they offer a real service. hello, New to this and I would like to ask if somebody know how I can get a promo code to subscribe to House sit match or any other good house sitters website, thank you in advance for all the info. that could be very helpful to me. Hi Armando! Unfortunately there are currently no promo codes for house-sitting that I know of. 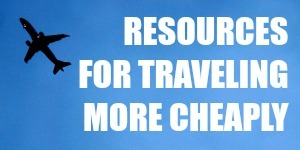 I keep a list of travel promo codes and update it regularly, by the way. So do check out the page here once in a while. Who knows, a house-sitting site may decide to provide a discount one of these days. Thanks for the recommendation, Florian! I’ve heard of HouseSit Match but haven’t had the chance to try it. Wow that site Nomador looks awesome.I have just about got hubby to give this a try so we are thinking very hard about where/when to go… only been back from CHina for 2 months and I am ready to go again LOL Great article thanks. I live in a beautful part of South Africa, not yet discovered by the tourist. My kids live in Europe so every year I wish to visit them and as I get older go other places. I don’t have pets, but there are many, many in the neighbourhood. I have had 1 House Sitter, great couple, they suggested I ask for a small rental to cover the costs. But lending my car is an enormous risk which all my friends have advised me NOT to do. What do you think? Hi Dione, I haven’t been in the homeowner’s position before when it comes to house-sitting, but I think the main thing is this arrangement is that everybody is comfortable with the terms. So if you’re not comfortable with having house-sitters use your car, then just say that it’s not a part of the deal. You can recommend some places where they can rent one at a reasonable rate. Anyway, best of luck in your house-sitting journey! Glad to have you here, by the way. I know you and Dalene have been house-sitting for a long time. Great tips! I’ve heard good things about house sitting and I’m definitely going to consider it next year during our long trip in the US. I’ll be using this for reference since I didn’t really have any idea of where to look. Thanks for the advice. We’ve just started our nomadic adventure and have been looking into house sitting without much luck initially. We figure there will be a lot more opportunities in Europe and North America than South-East Asia. We’re definitely big fans and will be looking for opportunities everywhere we go. You gave me some food for thought about house-sitting. I have done pet-sitting before so that’s not an issue but never really thought much of the ease of house-sitting including the use of a car or such. It does make sense though. It would certainly extend a trip by lowering the costs involved. Another great post! We’ve never done a “professional” house sitting gig, but I’m going to browse the sites and see what’s out there. One of the things we miss being on the road is not having pets — maybe a “temporary pet” while housesitting is the way to go. 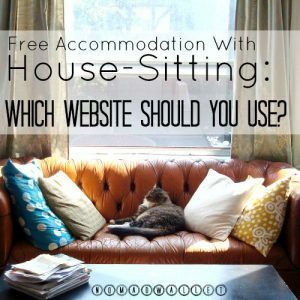 I’d like to hear how the actual experience of house sitting goes for you, too — future post!